When I was a toddler, I used to jump off beds and chairs often. It was so often that my forehead became a permanent bump. Apparently, I was always game for a trip out of the house. So whenever someone goes, "Charmain, want to go kai-kai?" I get overexcited and leap before thinking. I know this to be true because my parents, aunts and uncles have recounted this 'habit' to me more times than I can count. They also now accredit my stellar intelligence to all those bumps. If that's the case, I say my younger self knew what she was doing and invested well. Or maybe she simply believed she could fly. 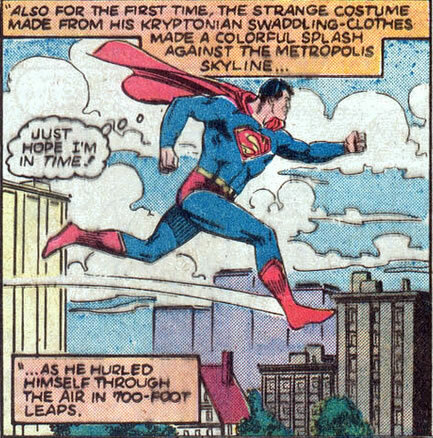 I think I've figured out why I like Superman.